The Australian Open Draw for 2019 is here and defending champion Roger Federer will start his campaign again Uzbekistan's Denis Istomin in his opening match on Monday. The Swiss is in the bottom half of the draw along with Rafael Nadal, Marin Cilic and Kevin Anderson. The opposite half sees Novak Djokovic paired with Sascha Zverev, Dominic Thiem and Kei Nishikori. So first up for Fed is Denis Istomin who famously beat Djokovic at the 2017 Australian Open. I'm hard-pressed to think of a memorable match the Uzbek has played since. He did win a challenger in neighbouring Kazakhstan towards the back end of last year but you have to go all the way back to Kitzbuhel in August for his last ATP win so he comes into the Australian Open fairly undercooked. Roger leads the H2H 6-0 so I expect a fairly comfortable win for the Swiss. Istomin can hit hard off both wings and can be dangerous on his day but he's never been physically strong over five sets and has a 33-2 losing record against Top 10 opposition. Round two is then a Qualifier and I'll update this section when they have been placed in the draw. There are some interesting names in there with Kokkinakis, Dan Evans (check his miracle shot from Qualifying) and Troicki all bidding for a main draw slot. Qualifying is complete and it's either Dan Evans or Tatsumo Ito as 2nd Round opponents. I think it's an impressive job from Evans to qualify and I'm guessing he's put in some hard yards over the winter. I think he's the favourite to come through in either 4 or 5 sets. The Brit won their sole meeting at a Challenger in 2016 and I reckon he has too much variety for Ito. Should he play Fed then it could be a fun match, Evans plays some decent tennis and can trouble players a lot higher in the rankings. Can he trouble Fed? Probably not, as it's not a great matchup for him. The third round then sees Monfils as the seeded opposition. The Frenchman was due to play in Auckland but he withdrew due to an injury so I'm not sure if he's fully fit. Perhaps Cam Norrie can put a run together as he's just beaten Paire, Sousa and Fritz en route to the Semi-Finals at the ASB Classic. The Brit faces Fritz again the first round and his game is very solid so I like his chances of setting up a Hopman Cup rematch. Should Roger make the second week, his seeded opponent for the fourth round is another Hopman Cup opponent, Stefanos Tsitsipas. There's not too much in that section so I'm guessing it will be a straight shootout between the Greek and Nikoloz Basilashvili as to who makes the Fourth Round. We saw in Perth Tsitsipas can go toe to toe with Roger so that's a tricky match. Over Best of 5, you have to fancy Federer to come through but it might not be plain sailing. Should he face the Georgian that's also a tricky encounter, he's come on leaps and bounds since Roger defeated him in the first round in Melbourne three years ago to break into the Top 20. Moving into the last eight and last years losing finalist Marin Cilic is projected to reach the Quarters. The Croat had to withdraw from Pune with a knee injury but he was able to win both his matches at the Kooyong Classic against Kevin Anderson and Fernando Verdasco so I'm assuming he's fit to play. Cilic's quarter isn't a given though as Bautista-Agut, Khachanov and Verdasco are in that section. He also has to see off Bernard Tomic in the first round who plays well down under from time to time. Last years surprise package Tennys Sandgren is also in that quarter, he's made the semifinals in Auckland and seems to enjoy playing in this part of the world. As for the semi-finals, Nadal is the Number 2 seed but he heads in with a few question marks about his thigh. He's told the press he's feeling fine though after withdrawing from Brisbane so you can never count him out. He's apparently been working on changing his serve in the off season so it will be interesting to see if he can win more cheap points on serve which makes him far more dangerous. Then the final naturally sees Djokovic as the projected finalist. He's had a fantastic last 8 months or so and heads into Melbourne as the betting favourite. Zverev is the fourth seed but from what I've read he's picked up some sort of hamstring injury in training. Elsewhere in the draw, there are some interesting first-round matches. Andy Murray has a real baptism of fire in his first Australian Open since 2017 with an encounter against Bautista-Agut. The Spaniard is the last guy you want to meet when you're coming back from injury as he's rock solid. 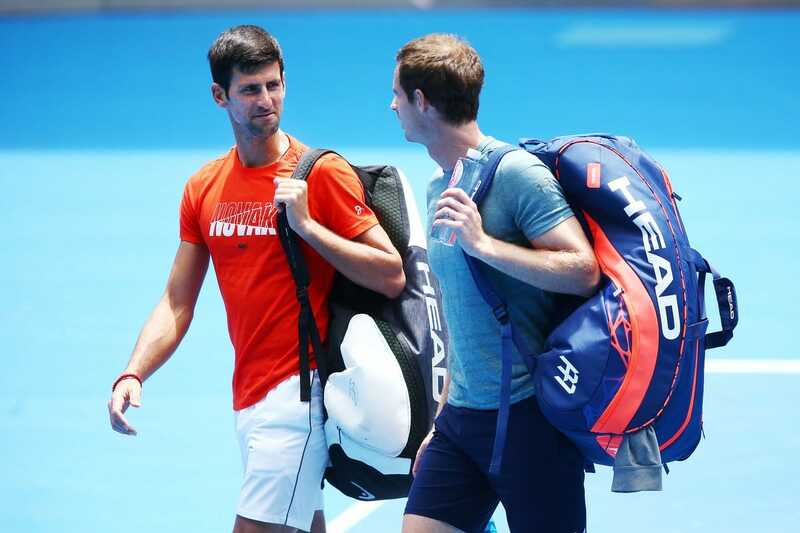 From all reports Murray completely bombed against Djokovic in their practice match today, losing 6-1, 4-1 when it was prematurely stopped. Apparently, he was grimacing and limping between points too which isn't a great sign. Although Murray did that when he was winning slams 😆 so maybe you can't read too much into it but I don't feel too confident about his chances. Raonic against Kyrgios is another match that stands out and will likely be a serving contest. As mentioned Tomic against Cilic also has the potential to be an interesting first round should Bernard come to play. I expect we'll see a couple of early upsets so I'm looking forward to seeing how it all pans out. I'm sure Roger's projected draw will be torn up by day 3 or 4 so hopefully, he can take care of his end of things and get into the business end of the tournament where anything can happen. What do you guys make of the draw? Let me know in the comments. Winning a slam is never easy ? Only Roger can do ! When is roger projected to play the semis jono? Assuming he makes finals, does he get ome less day of rest compared to the other finalist? A whole tournament away ! Jono im just trying to book a tix and bite the bullet so an educated guess would be nice! Thursday 24th is that half of the draw’s semi final. But the bottom half plays the 25th semis? Nope, it’s as I said above. Federer’s half (the bottom half) starts on Monday. So that half of the draw plays their semi-final on the 24th. The other half plays 25th. My prediction is Roger will be put on court 102 in the heat of the day just to appease Benneteau. The powers that be changed their minds about a 16 seed draw. Think they got a lot of push back from the players. They decided against it last year. I got my wish Roger will only meet Djoker in the final. A lot landmines for Roger tbh..maybe I over worry but anyone of these players can give him problems when they are in the zone. His biggest test will be 1st round, and 4th round onwards. Nadal is a ?? however if he survives 1st week he will be very dangerous. Can’t wait for Monday, lets do this Roger!! Istomin a big test? I don’t see it. Barely played and barely won any matches of late. Would be on a par with the Djoker upset in 2017. Fed has recently beaten him and had the chance to read his game.Next up could be Baptista Agut,in form and I seem to remember that he gave Fed a stern test at their last meeting.Or Khachanov perhaps. and wear their opponent out for the next round.So I suppose we should be glad DelPo is out.Then Mr Anderson in the quarters? AS for Djoker,Medvedev could be a fourth round opponent.Tricky if his serve is on fire. Still the whole draw could look completely different at the end of next week.So upwards and onwards. 6-0 H2H for Nadal vs. Schwartzman. Not sure he can cause Rafa too many problems. He has got a set last couple of meetings but no free points at his height. How do you wear down the best grinder of all time? I know I am discounting Cilic who plays well at the AO but I think either Agut or Karen can beat him. Anyone can beat Cilic if he has a bad day. His game can quickly go off the rails. Fairly flat hitter, bit nervy. I think Agut will test him. Much depends on the court too I think, on a fast court Cilic can end points in 1 or 2 shots. Playing a Slam is never easy, but the draw seems acceptable, obviously we need to take it one match at a time. 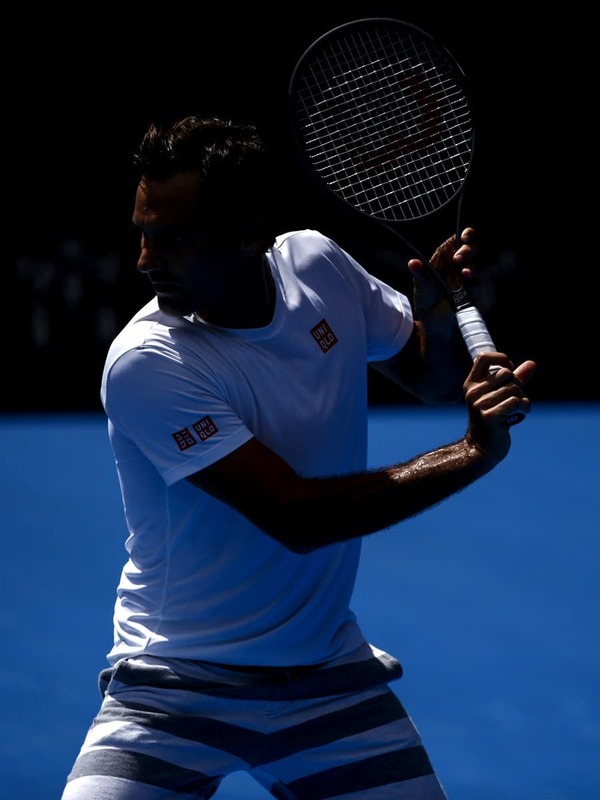 Roger looked fit at the Hopman Cup and that always helps, lets hope for a good run down under! Yeah no need to get ahead of stuff, round by round ? Most important, he’s not in Djoko’s half. A chance to collect further confidence on the way to final. – Yes a lot of exciting questions on the way, not least about Nadal’s possible new serve…I’ sure it will be well studied before the possible SF! Yes that is a big plus.Perhaps Nadal won’t even get to the semis,I’ve lost count of the number of tournaments he withdrew from last year.Even if he does I think Fed has his game figured out now.? They’ve not played in over a year though. I don’t think you can ever write Nadal off vs Fed. He’s still a favourite when they play given the H2H dominance. I think he can win this… Good draw, no dangerous players on the first week and surely Nadal won’t make it to the semifinals. The only dangerous player is Cilic. Need to see how Nadal goes first couple of rounds. He usually plays well in Australia. I would love to see another Federer-Nadal. It doesn’t work either of the ways you suggested. Wimbledon is the only Slam to have the defending champion open proceedings on Centre Court. Which side starts is at the discretion of the tournament. This year the bottom half starts on Monday. So Fed is playing Monday. Thanks – actually that’s good news, so he would get the extra day of rest. I guess all the conspiracy people out there are on outrage mode then. Really, it would not be a shock to see Fed lose to any of those guys post Round 2 if they bring an A game and he brings a C game on the day. Stephanos serve at Hopman and was lucky in the 1st tiebreak.So his problems could begin in the third round.Also you simply cannot discount Nadal,if he reaches the semi he will be very dangerous. But who knows,it’s all to play for? I am starting to get a bit confused as to who might be playing who,so please forgive any silly errors. Is it that bad a draw? I think it’s nicely balanced. Not wishing to be pedantic but I meant tough not bad? wearing out which seems to be a factor in any defeat for Nadal. But as you say the whole draw will probably open up once play commenc s.
But starting in Round 3, it’s either guys who have beaten Fed, recently given him a real run for his money or have taken down other giants (like Karen). And of course Cilic, Nadal, Novak potentially in succession – could not really ask for a harder last 3. if Cilic recovers form he’s got a Slam worthy game and since 2014 he plays Fed very well in majors except for those blisters. And of course – as you’ve said Jonathan – it’s all on paper now, so who knows what it will look like by the end of the week. I have to agree,I think it is a tough draw.But we shall see. I don’t think there will be any easy matches. There are a lot of big-hitters out there. Getting to the second week isn’t a foregone conclusion. Rog will have to be playing at or near his best to go deep again this year, and certainly if he is to have any chance of defending his title. He talked about what would be his dream match with a tennis great from the past. Fed fans probably know who that would be. He also discussed his foundation, and a bit about how he would like his career to end. Of course that comes as no surprise to us folks at PeRFect Tennis. Yes it was an interesting article. Yes, it was a great article. Enjoyed it a lot. I just hope Fed will play night sessions during the first 2 rounds, as it will be hot : about 34 degrees on Monday Jan 14 and about 36 degrees on Wednesday Jan 16. It will be cool afterwards (25 on Friday). Go Champion and always Bel21ve ! Terrible news. This AO may be Andy Murray’s last tournament. “Andy Murray announced this Australian Open “almost certainly” will be his last tournament, bringing to a painful end a career in which he won three grand slam titles and was honoured with a knighthood. Talking in a hushed voice and struggling to hold back the tears, the 31-year-old Scot said: “I’m not feeling good. I’ve been struggling for a long time. Been in a lot of pain for 20 months now. Pretty much done everything I could to make my hip feel better. I feel sorry for Murray. I had a full hip replacement early last year and have no pain at all now and I have been out on court again for the last few months with no problems. He speaks of constant pain in just putting his shoes on. Real bad luck. Glad to hear the operation was successful.? Thank you, Annie. Murray makes me realise how fortunate I have been with my hip surgery. Court conditions should favor RF at his best performing slam. Fresh start to the year, hence the need to maximize the result. The real problem is, RF can be Millman’ed at this stage of his career. Toughest draw of the Big 3. Wishing RF to have all the very best of luck! Millman’ed haha. When will that be added to the dictionary? Hope he can keep pushing until Wimby, and get a good farewell there! If that’s his plan he just needs to play a light schedule and he should be fine. Can just enter with a protected ranking I think? So sorry for Andy. He is such a character on and off court. He is one guy I never minded Fed losing to. I think the push to be #1 did him in. He never recovered from that. Fed used Andy as an example of the struggle to get to the top. I would love for Murray to end it at Wimby but it sure doesn’t look good. Fed also used Murray as an example of how not to play if you want a longer career in when Murray had beaten him, in Dubai 2008. So he was right. Murray has grown on me over the years, he’s pretty funny. But I’m not sad about it, social media is now filled with crocodile tears from everyone. All that needs to be said is Murray has had a great career and, overachieved in many ways. His hip is messed up and he can no longer play at the top. Done, move on. We don’t need outpourings of emotion as though the guy is dead and how the world is so unfair. Or 1000 word pieces justifying why it was a Big 4 not a Big 3 or how he stood up for equal rights in a toxically masculine and white society 😆 but yeah pageviews / modern media ? This is why I’m not looking forward to Federer retiring. I’ll be disappointed purely from the selfish perspective that I enjoy watching him. But all the sentimental crap that comes with it? No thanks. It’s a brutal sport physically, with its share of casualties. Most give the game away when the injuries get too much, which is typically in their thirties. Kuerten was another one of those who tried to come back after a hip operation, but it didn’t really work. You can’t have impaired movement in top-level tennis. Roger has been incredibly fortunate that he has recovered well from his injuries and can still cover the court like a player ten years younger. But after last year’s wrist troubles I wouldn’t be surprised if further injury dogs him this year. To be nearly 38 is a serious age for a pro tennis player. Hewitt too had the hip issue, it’s a difficult one to come back from. wealth.I also wish that he wasn’t going to play this match against BAgut.It seems rather pointless and also puts his opponent in a difficult position. Good point about making it difficult for RBA now, going to be a bit of a weird atmosphere on court when they play. Very sad that Andy Murrays career had to end like this.Living with constant pain must be very debilitating never mind trying to compete in tennis.He has had a great career,almost unique in Bristol tennis especially considering he was playing in the same era as three of the greatest players ever.I hope he has a pain free retirement and can enjoy his young family and the very substantial wealth his tennis career has brought him. Only when not playing at Wimbledon? Any news on the surface speed? Is it the same as last year or do you think they maybe be slowing it down again? Just curious. No idea, heard fast, then saw slow. Just gotta wait for the CPR. It is fast as it was. With new faster balks which lose power after some games more than usual. Source? I know the balls have changed but where is the info that they are faster? Nick Kyrgios’ message to Andy Murray. Hope Federer does well. He said he’s focusing on only the first round opponent. One match at a time. On another note, it was diffcult to see Murray so deeply despondent during that presser. I like him a lot, especially his understated wit off the court. And thank God for the slams he won. Wish he’d won at least one AO. 5 finals without a win has to be kind of bittersweet. I’m bored of reading eulogies about him. Written by the same papers that said he wasn’t supporting England at the World Cup which was fabricated. England doesn’t have a lot to celebrate these days, in the Brexit era. They’ll take what they can.? Oh yes, the World Cup (non)controversy! I didn’t read too many Murray eulogies by the British papers, but I did read a good one by Giri Nathan at Deadspin. Well thank God it isn’t the Kokk(trying to spell it politely)? Dan Evans I believe used to play at the Solihull tennis club,of which I also used to be a member. Just an update. Roger is playing Dubai this year. Updated on his website too. Good decision I recon. He is to play on clay again, I read, too. Ha ha Jonathan. You bowled an yorker? @Venkat Yorker, they are dying out! Yeah they have changed the design of it, very basic and hard to read.
? to a good run at the Aus Open, who knows what can happen. 1 match at a time.